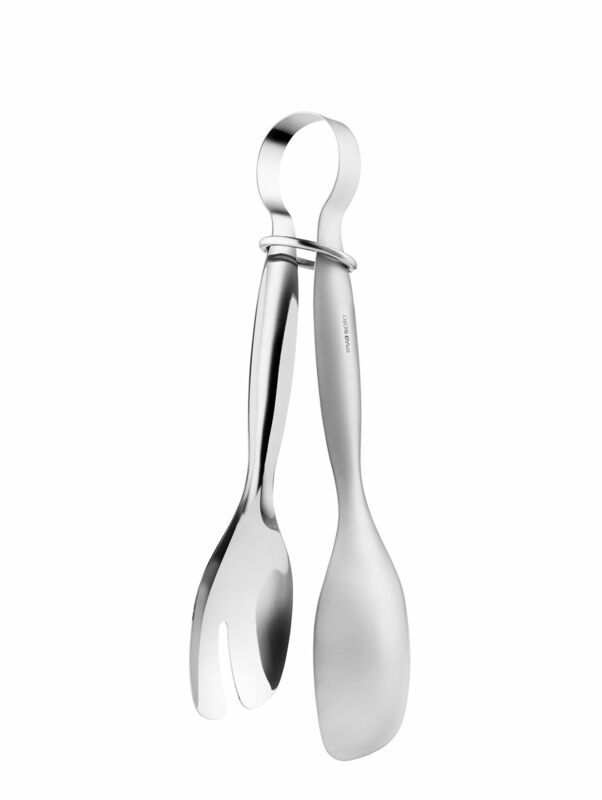 A clean, minimalist design for these stylish stainless steel salad tongs. 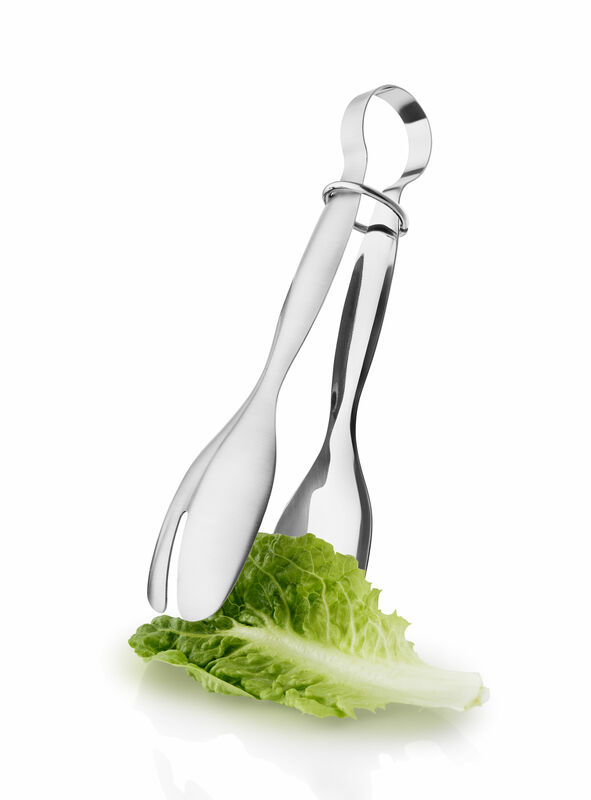 More practical than cutlery, you can serve your salad with one hand! 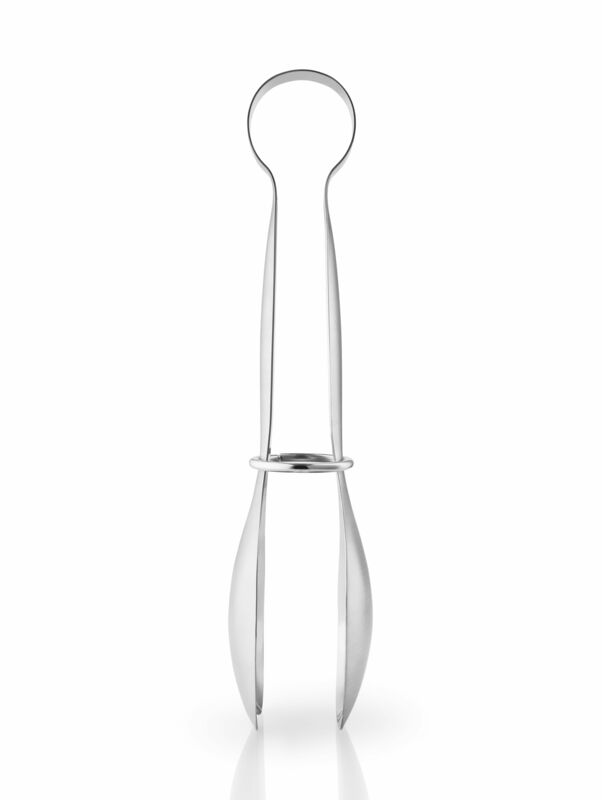 In addition, they have a ring to lock the tongs for optimal storage, and you can also hang them up to keep them close at hand. These salad tongs can be matched with any type of table decoration, for everyday use or special occasions.